The coworking platform this year for Manila will bring a variety of new stuff to the landscape. 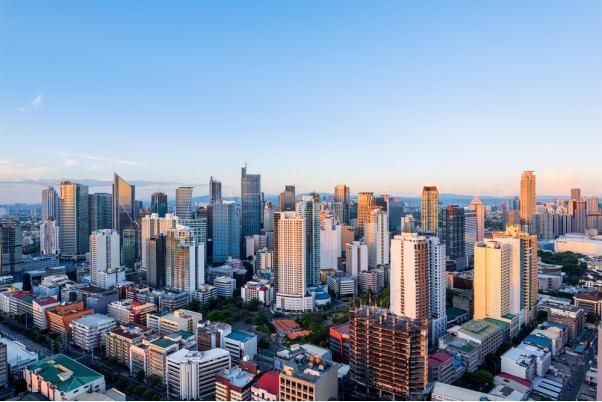 In line with other locations in the country, Manila is seeing a surge in the number of coworking spaces occupying the landscape, signalling to the industry that the coworking is more than a trend but becoming a viable staple in the country. This year alone many expect the number of spaces to increase by ten per cent. The types of spaces that will show up when you’re looking for a coworking space in Manila will offer variety, and while larger conglomerate spaces are finding their way into the market, spaces that are currently operating reflect a desire to remain close to coworking’s mission, which is to provide professionals with a place to collaborate. Coworking spaces in Manila are similar to others, but when perusing the different spaces readers will get a sense of community in many of the spaces. The opportunity to find workspace in a community that can be a springboard for success is possible this year. Let’s take a closer look at what you can expect from workspaces when coworking in Manila this year. A lot of work is getting done in the coworking landscape in Manila. However, the spaces are definitely focusing on creating a cosier smaller space from which professionals can work. In the landscape, businesses can find spaces simply decorated with comfortable furnishings that elicit that work is going to be done but without the snazziness found in more upscale space. Not that there is not a place for corporate coworking to take place, as a few larger spaces occupy the landscape offering businesses of all types of sophisticated office space. In these spaces, you can expect to find high gloss everywhere, but the communities are the same – great places to meet and interact with professionals from a range of industries. Whether going high profile or simple and smart, coworking spaces in Manila give businesses enough variety. Manila is similar to other markets waking up to this style of work. Many of the coworking spaces offer businesses the basics, which typically include a great internet connection and access to a variety of events. Some spaces might include lighter amenities like ping-pong tables and other diversions, but the spaces in this city are great at keeping it simple. Coworking Manila this year is also seeing a surge of the new populations coming into the area. The digital nomad is definitely a part of the scene. While Cebu and other locations are popular for coworking, Manila is also a place that nomads also find attractive. The digital nomad scene has been around a while, but the coworking space adds a new dimension to their stories. In Manila, the coworking platform provides this group of people with not only their office needs but also with amenities that can make working in the city more comfortable. Ultimately, it will be interesting to see how these professional nomads impact the current coworking landscape. Manila still is one of the best places to find great workspace with the right amount of social interaction to get traction for your business. Whether you need space to collaborate or are looking for opportunities to network, these spaces provide professionals with very affordable solutions. Plus, in the off chance that you get plugged into a space that has a thriving social calendar it is one way to connect and promote your business. Those looking to establish their business in Manila’s coworking landscape will find communities ready to embrace them. Regardless of their industry, there is space in the community to relate and develop business relationships. More significantly, these cosy spaces are great for work but also to build relationships and make business.